Oil and Fiberglass on Linoleum, 1985. 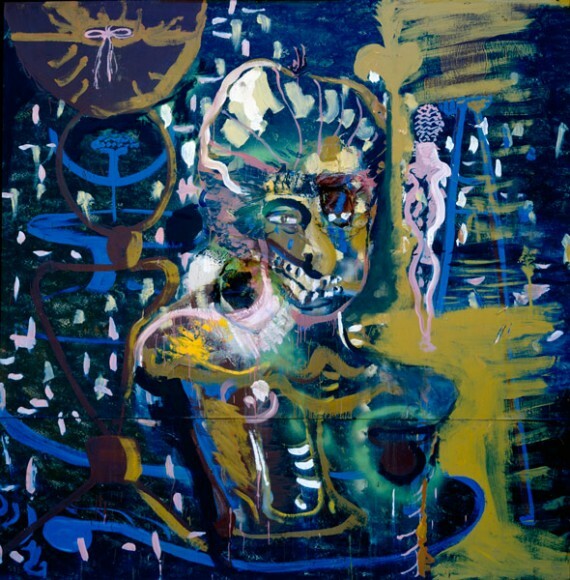 Julian Schnabel is an American artist. He has a BFA from the University of Houston and was admitted to an independent study program with an application that included his artwork slides between two slices of bread. 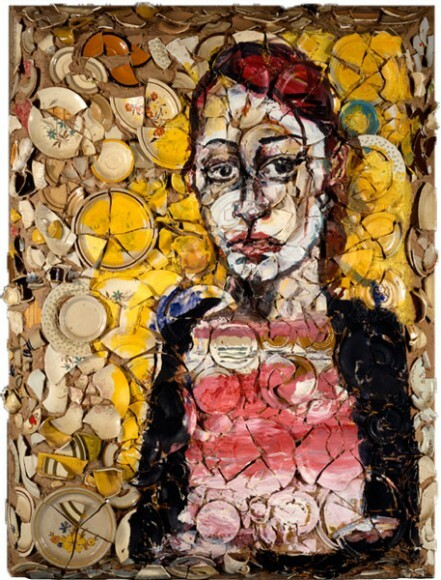 He is best known for his broken ceramic plate paintings as much as his brash boisterous personality. Schnabel once claimed, "I'm the closest thing to Picasso that you'll see in this *#@ life". He is also well known for being a director of movies (Basquiat, Before Night Falls, and The Diving Bell and the Butterfly). I saw Schnabel's piece, Understanding Self Hate, at the VMFA. I like a lot of Julian Schnabel work because of his use of interesting media for his paintings (satin,, ceramic plates, carpet, linoleum, velvet) and his very emotionally connected style that is so creative and basic. You can check Julian Schnabel's website out here (also where the images are from) and I'll just throw a few video links in about him also (I don't own the videos either) here and here.